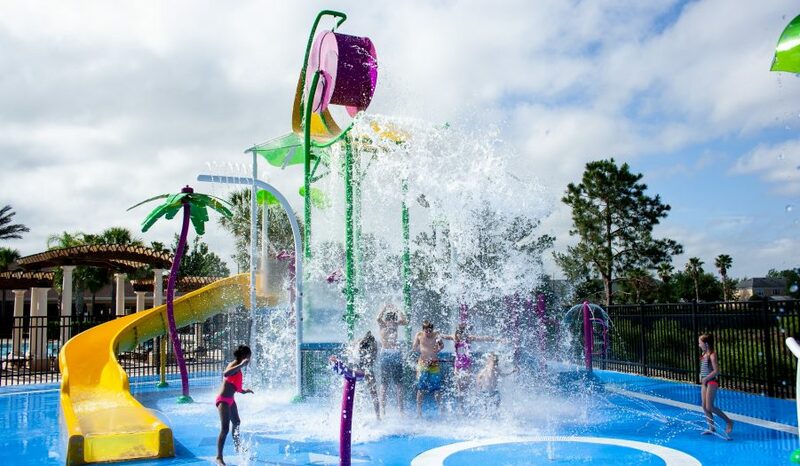 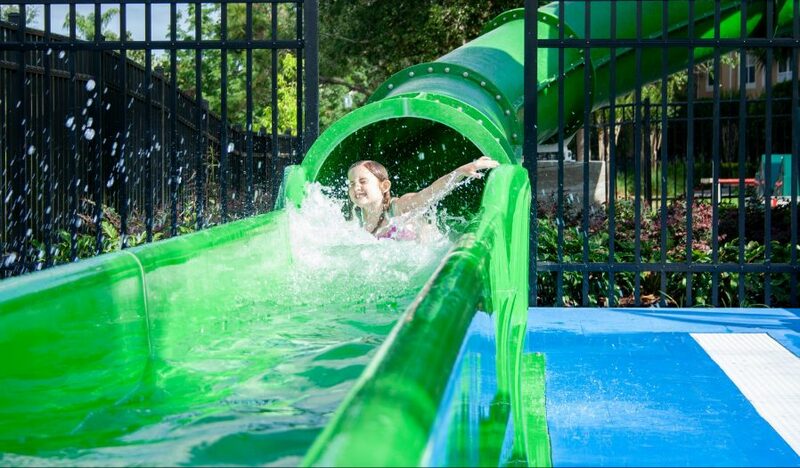 Located outside the main gates of Orlando’s most visited theme parks, the vacation property community of Windsor Hills offers guests all the conveniences of home with plenty of amenities, including a brand new water park with twisting slides and children’s wet play structure. 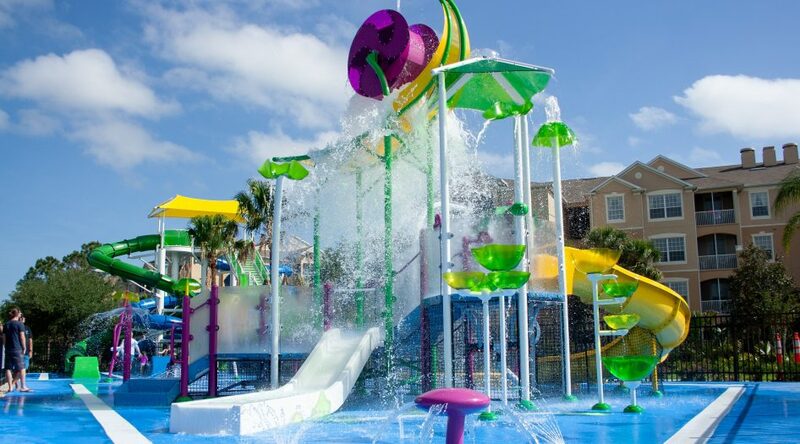 The 23-foot-tall slide tower provides riders two different slide experiences that are guaranteed to thrill, while the kids splash area offers excitement of its own. 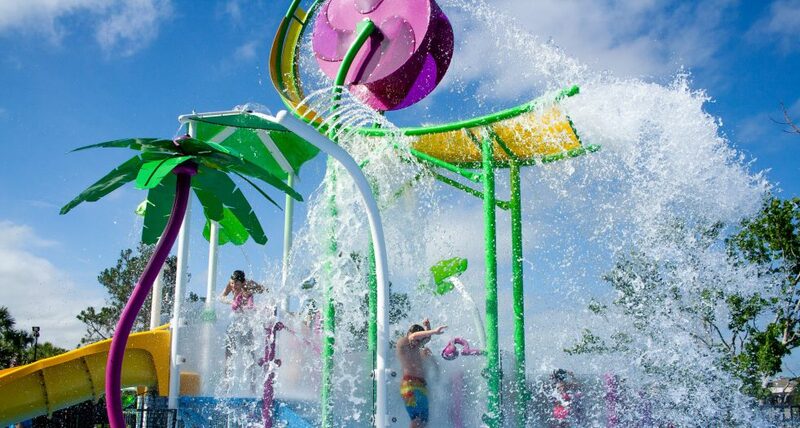 The climbable structure features two slides as well as multiple spray cannons and water curtains that rain down below, but the biggest splash of all comes from the spinning wheel at the top that fills with water to deliver a deluge on anyone standing underneath. 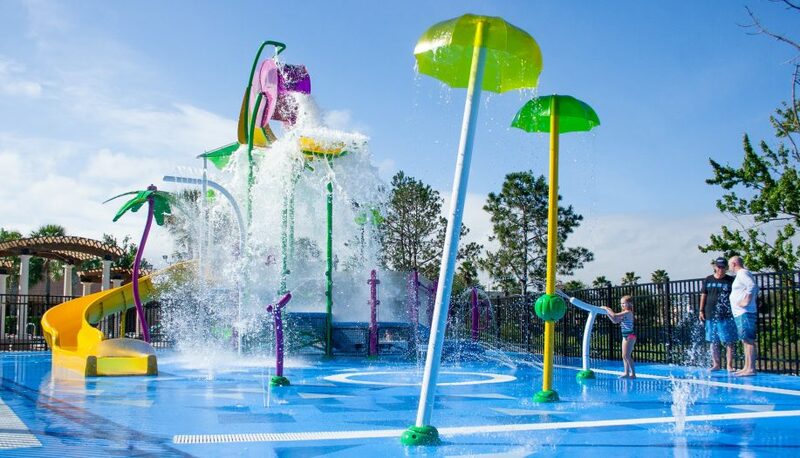 The vibrant floor is zero-depth and features fun sprays shooting from the surface, making this new splash area perfect for even the youngest guests. 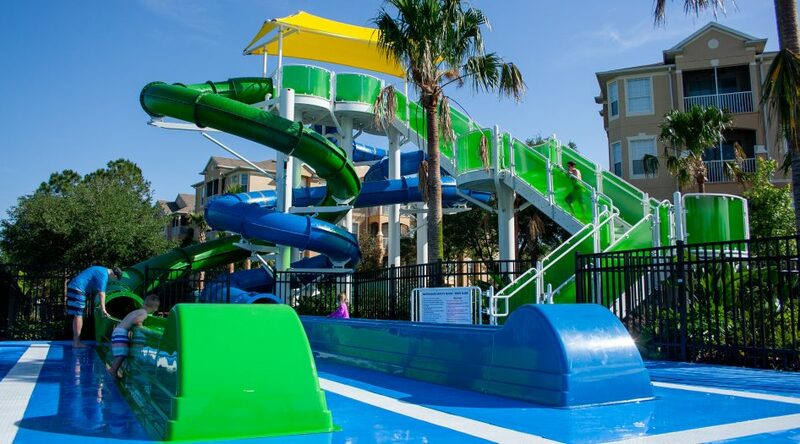 For this project’s water slides and interactive water feature, ADE provided concept design and hydraulic, structural, filtration, and chemical system design and engineering services.